The Lord of the Rings: Quest to Mount Doom társasjáték - Magyarország társasjáték keresője! A társasjáték érték! A The Lord of the Rings: Quest to Mount Doom egy kiváló társasjáték, 2 - 5 játékos részére, az átlagos játékidő rövidebb, csak 30 - 45 perc. A társast, 8 éves kortól ajánljuk kipróbálni. A játékmenet erősen épít a kockadobás, a pontról pontra mozgás és a vedd el mechanizmusokra. Aragorn and Legolas. Each of these stands ready to seek out The One Ring and deliver it to its destruction. Choose which member of the Fellowship you will be, and race against your friends to uncover The One Ring and carry it to Mount Doom! Middle-earth needs heroes like never before! Will you be the one to defeat the Dark Lord? 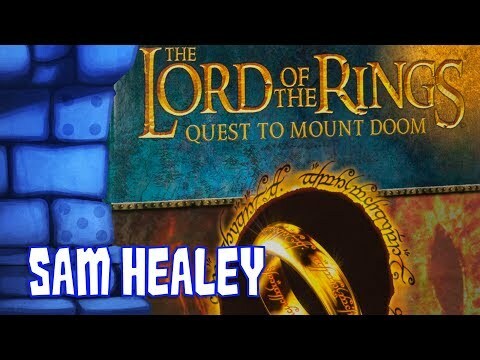 In the Quest to Mount Doom, 2-9 players race to locate The One Ring somewhere in the depths of Middle-earth and be the one to take it to Mount Doom – the one place it can be destroyed. Venture into all corners of Middle-earth in your hunt for The One Ring, avoiding the dreaded gaze of the Dark Lord Sauron and the tricks and schemes of your fellow players. Use the wide array of item and event cards to foil your opponents' plans or boost your own chances, and achieve the ultimate goal, claiming victory at the fires of Mount Doom! 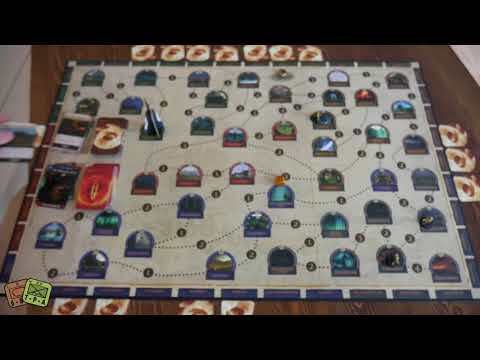 Players roll a movement die on their turn and use the movement points generated to move along paths of varying difficulty to reach locations across Middle-Earth. Each location begins with one item card available but only one of the forty locations contains The One Ring. Once a player finds The One Ring they must try to keep it secret while moving towards Mount Doom. Players can use the Items they gain during the search to help their own quest or to hinder the other players. If you finish a move in a location with another player you can take a card from them. 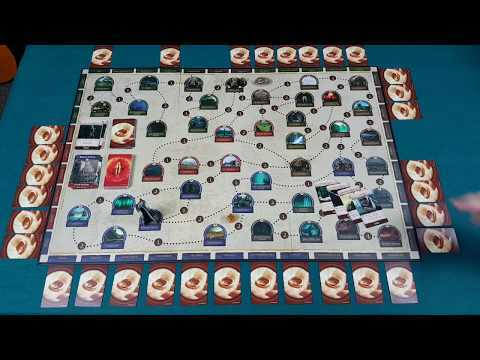 Each turn players also draw an Event card which can trigger immediately or they may be able to keep it in hand for use when the time is right. Every turn an Eye of Sauron card is also revealed, moving the Eye marker. If the marker ever lands on a player's location they must discard The One Ring or another Item if they are not the Ring Bearer. The player is also forced to return to Hobbiton or Rivendell. The player who gets The Ring to Mount Doom will be the winner. Contains 9 highly detailed Fellowship plastic miniatures, instructions booklet, 1 gaming board, 1 dice, 40 item cards, 35 event cards, 42 Eye of Sauron Cards, 9 character cards and 1 Eye of Sauron Marker.